E-learning is the ideal delivery method for soft skills training for several reasons. This includes the fact learners can progress through the course at their own pace and at a time that suits them. You will also like the fact that soft skills courses are available off-the-shelf as this reduces your costs. To get the most from soft skills training, however, you should add a third element to the mix – customisation. In other words, e-learning soft skills courses that are off-the-shelf and then customised. This is exactly what we’re doing at Capytech. Let’s go back a few steps though – why should you care about soft skills? Soft skills are different to hard skills or technical skills. Hard skills are role specific skills that individuals acquire through training, experience, or a combination of both. When employing people, hard skills are crucial. After all, you need coders who can code, sales people who can sell, managers who can manage, etc. Rather than being specific, soft skills are common among a much wider group of people. They are also often difficult to measure or quantify. 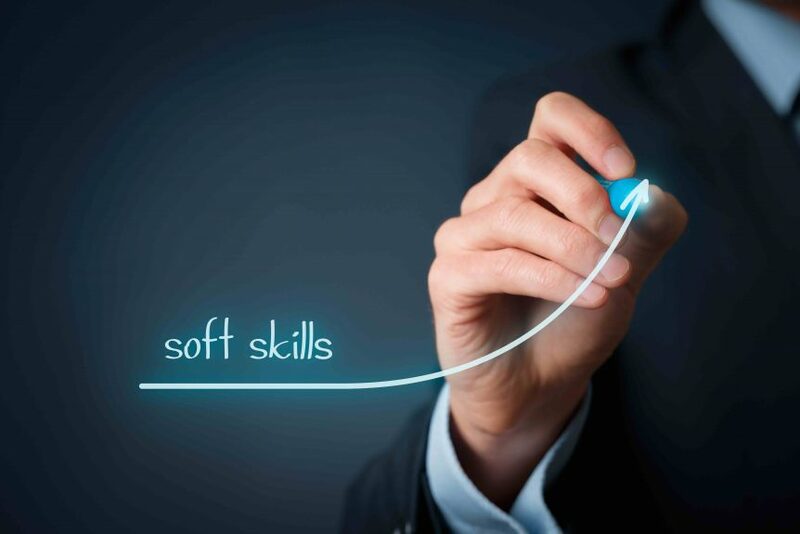 While they are important, many organisations compromise on soft skills. For example, you may employ an excellent programmer who has poor communication skills. This employee produces great work, but clients don’t like dealing with him/her. Unless you deal with the programmer’s problem soft skill – communication – you will have to adjust elsewhere to overcome the client issue or you will have to get a new programmer. This is an extreme example but, in reality, almost everyone in your organisation could benefit from improving their soft skills. Soft skills development, therefore, should be part of the training plan for your organisation. You know how much it costs to implement training in your organisation. So, can you justify this cost to bring everyone on your team up to the same standard in a specific soft skill such as one of those above? Would senior management sign off on this type of training spend? For many organisations, the answer is no, often because they want to spend training budgets on improving and developing the hard skills of employees. There is a solution, however. By purchasing an off-the-shelf e-learning soft skills course, you will save money. This is because there are none of the costs associated with in-classroom training sessions (travel, the trainer, lost productivity for the employee, etc). In addition, getting an off-the-shelf e-learning course is cheaper than getting one you develop from scratch. In other words, you will have everything you need to bring your employees up to an acceptable standard for the soft skill in question but at a cheaper price. While purchasing an off-the-shelf e-learning soft skills course saves you money, your employees will know it is a stock product rather than one specifically tailored to them. This can result in a poor learner experience, plus you may not get the message across to learners in the way you want. There is a solution to this too, though – customised e-learning soft skills courses. This is exactly what we offer at Capytech. We will soon have a library of soft skills courses that you can purchase. We will then customise the course to make it more relevant to your organisation. This can include adding your branding, policies, procedures, a message from the CEO, or a number of other customisation options. You can get the customised soft skills course on an LMS (Learning Management System) you already use or we can give it to you on our platform. The last point above is important as other e-learning providers also offer off-the-shelf soft skills courses. They don’t, however, offer them on an LMS of your choosing. In addition, the quality of our courses is second to none. So, don’t ignore soft skills training in your organisation, don’t spend more than you need to, and don’t compromise on quality. Instead, choose a customised off-the-shelf e-learning soft skills course.